So there’s tons of horse hair on the ground over the New Forest, and plenty hung up in the barbed wire. 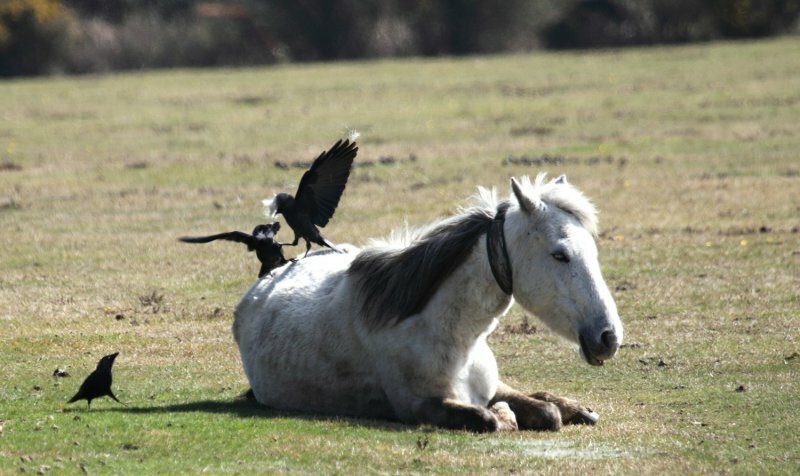 But of course that’s not good enough for the resident Jackdaws – oh no – it needs to come straight from the horse if it’s to be any good. So these 3 Jackdaws had a great time pulling great clumps of hair from this poor female grey who made no attempt to shoo them off. I took a couple of shots of the corvid mayhem and then shooed them off myself to let her have some peace in the sunshine.